By now winter has set in. The snow is blowing in Logan and if you haven’t got your soil samples done you’re probably too late. But if you did send that in by now you should have your report back from the soil testing lab. So if you need any information on how to interpret than get in touch with your local county cooperative extension office and they will help you with resources that you need to figure out how much fertilizer to put on next year. Second thing to do is to start planning your 2019 garden. Consider switching over your irrigation system this year. 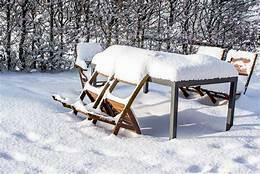 Water is going to be critical for us and even though it’s snowing outside water shortages are going to be a big problem in the future so drip irrigation systems might be a way to significantly reduce your water use in the coming year. I know I did that in my garden and it made a real big difference. Third thing to do, sign up for a gardening class. Take these local classes as they are taught by individuals who understand Utah and our unique soils environments and challenges. Finally, read a good gardening book. Most have a lot of good tips to help you connect with your classes. They will provide insights into how and why and where and when. And all those other things you need to know about your vegetable garden.